On the night of June 22, we flew from JFK International into Milan on Air Italy, an overnight, nonstop, eight hour trip. While everyone else seemed to doze off for a few hours, I mainly stayed awake. I’ve never really been able to fall asleep on a plane. The anticipation and stress of such an undertaking didn’t help. 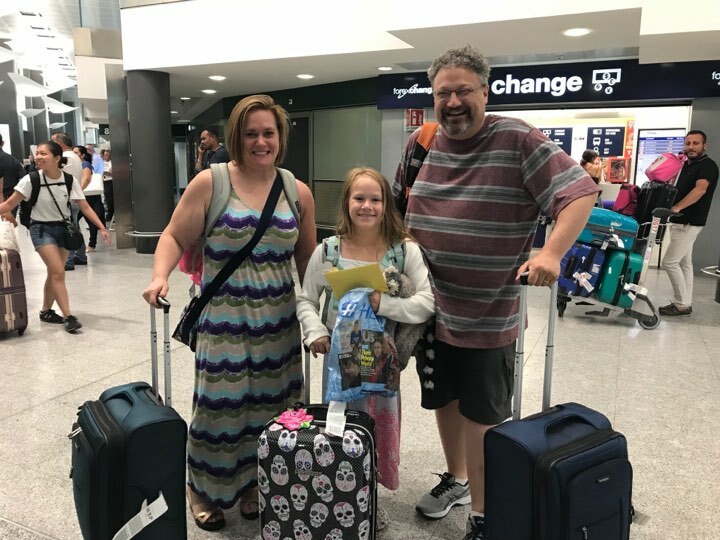 We were fortunate enough to have cousin Sara waiting for us at the airport. After a long day/night, we welcomed having someone guiding us through our first interactions with the train system and everything else that comes with being in a new country. She laid down the jet lag law: no naps, tire yourself out, get to bed after 7 PM. We opened our trip with a late lunch at a wonderful neighborhood restaurant where we were treated like regulars (I’m sure Sara being a regular had something to do with it). 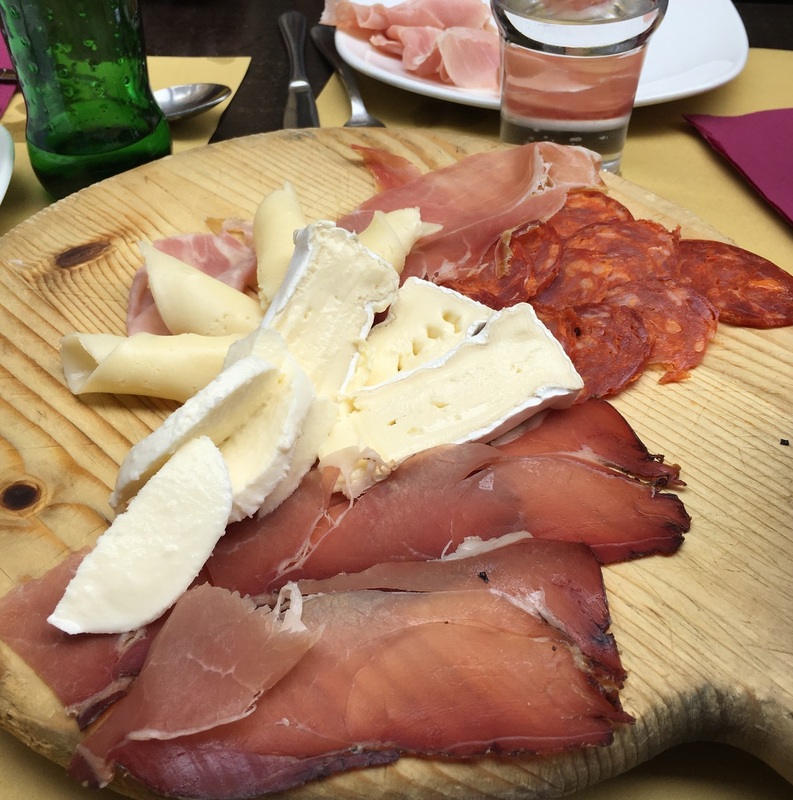 It was a relaxed introduction to Italian eating — a plate of hams and cheeses to start, followed by delicious homemade pasta with a variety of sauces. We lingered over our plates and talked over all kinds of logistics. 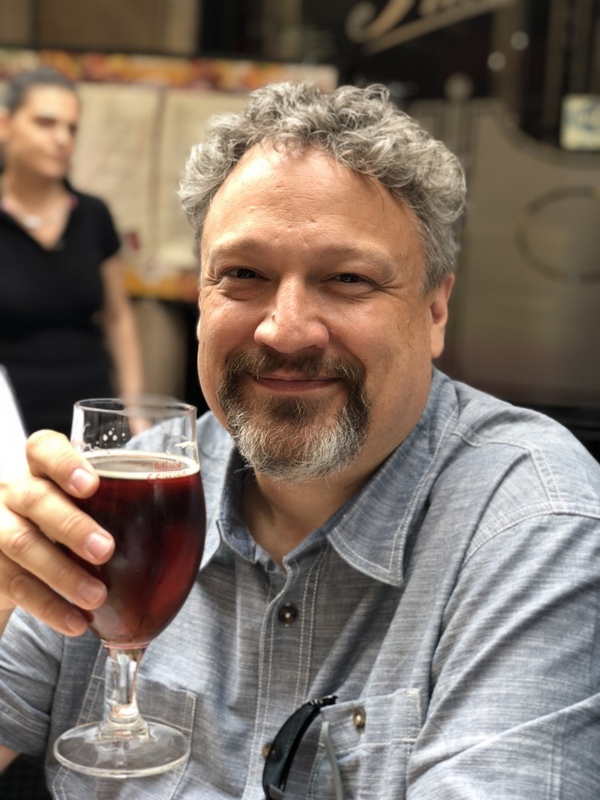 I had read quite a bit about what to expect in Italy, and everyone talked about the pace of the Italian restaurant dinner. And yet, I was still somewhat unprepared. I’m sure there are plenty of times Italians rush through their dinners just as we often do back home, but many of our restaurant meals (including this one) took a decidedly relaxed pace. 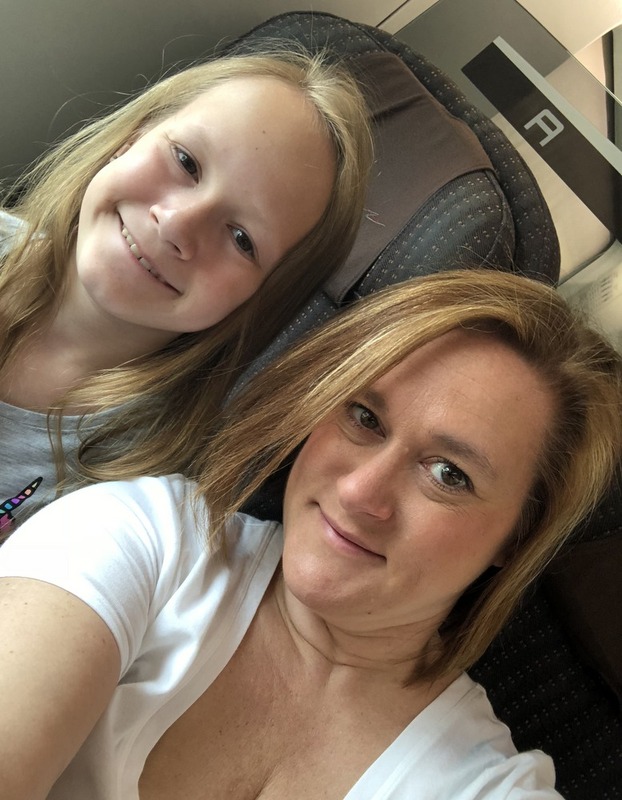 Take your time at every stage, enjoy every course, and be prepared to ask explicitly for the check when it’s time to go (and don’t be surprised when along with the check comes a drink, a snack, or some candy for your ten year-old daughter — or all of the above). 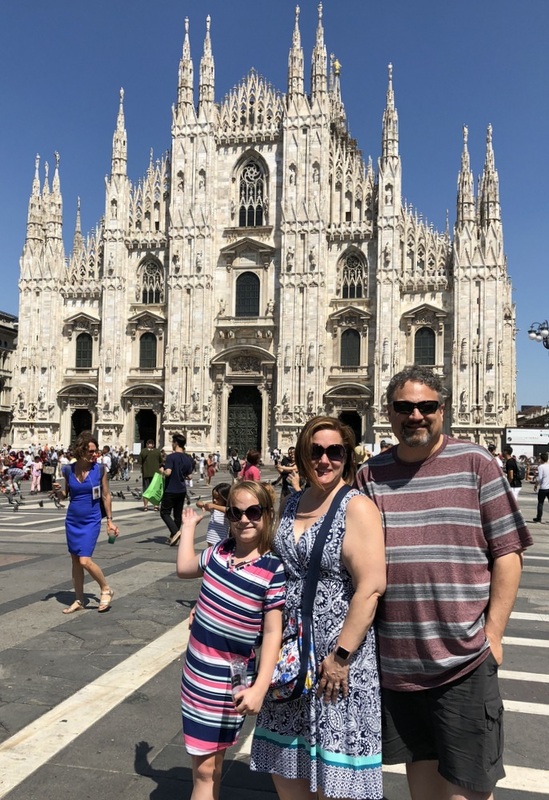 After our meal, our next step was the famous Duomo of Milan. We took the train there, and I’ll never forget how it felt to walk up the stairs from underground and have the ancient cathedral dominating all my view. We didn’t go in, but walked all around it, admiring its many statues and its massive architecture from every angle (dodging crowds along the way). Here was also received some education on being streetwise, learning to say “no” in a firm voice when people tried to hand us free bracelets or other “gifts”, and recognizing some ways in which dishonest panhandlers or pickpockets might target people. 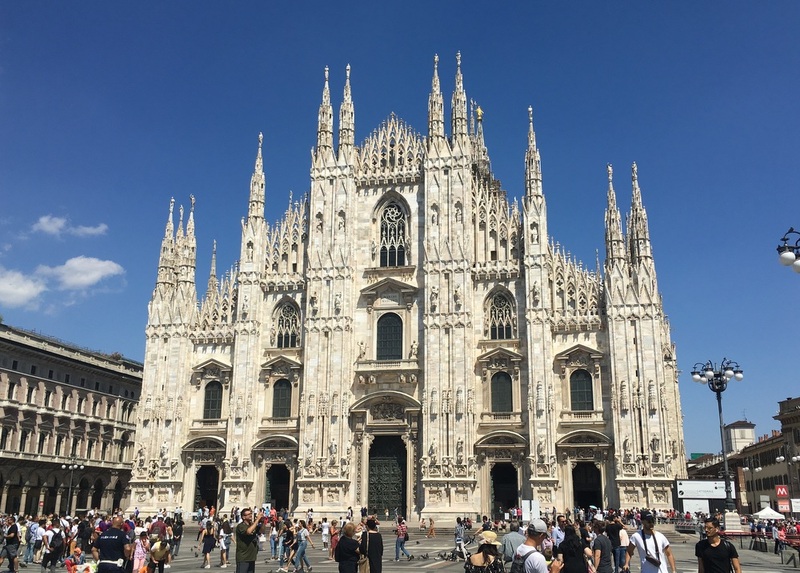 From the Duomo we launched into a massive (to us) foot tour of Milan. We walked through the Galleria, gawking at the high fashion shops and doing the traditional bull’s spin. 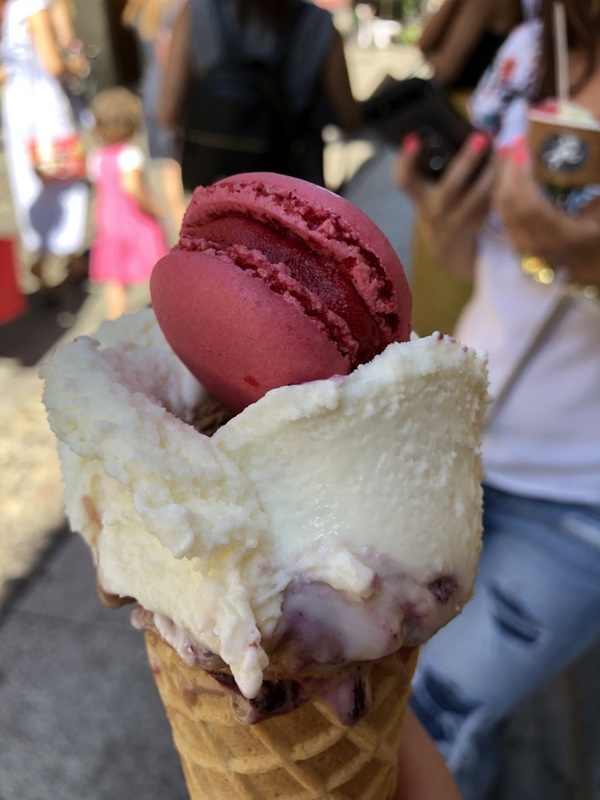 We ate gelato (sorbet for me) which would become quite the tradition on our trip. Evie preferred chocolate and mango (often combined: eek), whereas I could have had lime-basil sorbet after every meal. We went down cobblestone streets and admired quintessential European city views of little balconies with drying laundry and small gardens on them. 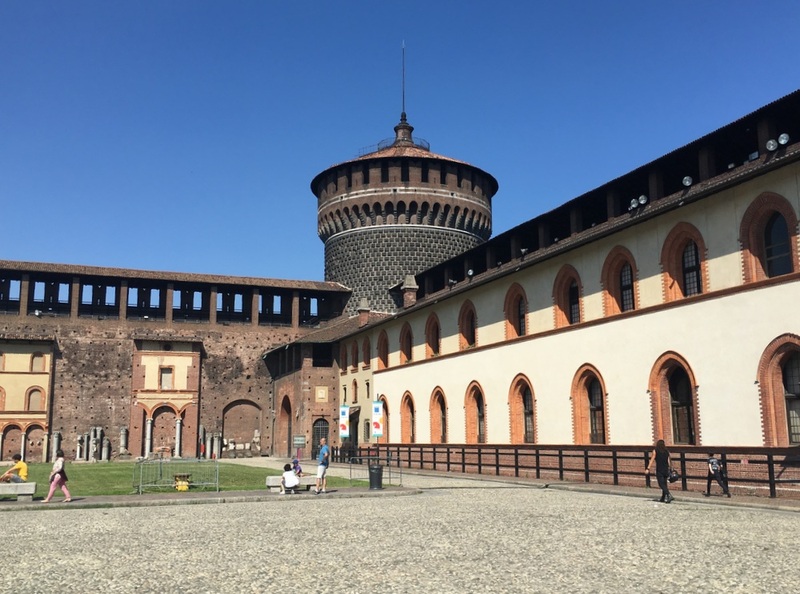 We checked out Sforza Castle (taking a moment to look at the cats snoozing in the sun at the bottom of the “moat”) and Simplon Park, and admired the Arch of Peace. It was an excellent introduction to Europe, to Italian cities, to how comfortable we would have to get on our feet. We got back to Sara’s place in the early evening and talked about our travel plans well into the night. We also took some time to celebrate our daughter’s tenth birthday with cake and fun kid activities. The next day, fighting off a weakened jet lag (indeed, Sara’s advice worked), we ate a breakfast of eggs and received a critical piece of technology that would make the rest of the trip easier: a prepaid wifi access point. It let us connect our phones (and Evie’s iPad) via wifi and access the mobile data network in Italy. We were never far from online maps, Italian/English dictionaries, restaurant reviews, and online entertainment for Evie. We also could easily contact our loved ones, and quickly communicate with Sara when we needed advice or just someone to share our stories with. I can’t imagine having the same sense of complete comfort in another country in the 21st century without some form of connectivity. Definitely look into it if you’re thinking of making a trip like this. Breakfast done, we grabbed a backpack and set out on a day trip to the nearby city of Turin, home of the 2006 Winter Olympics. 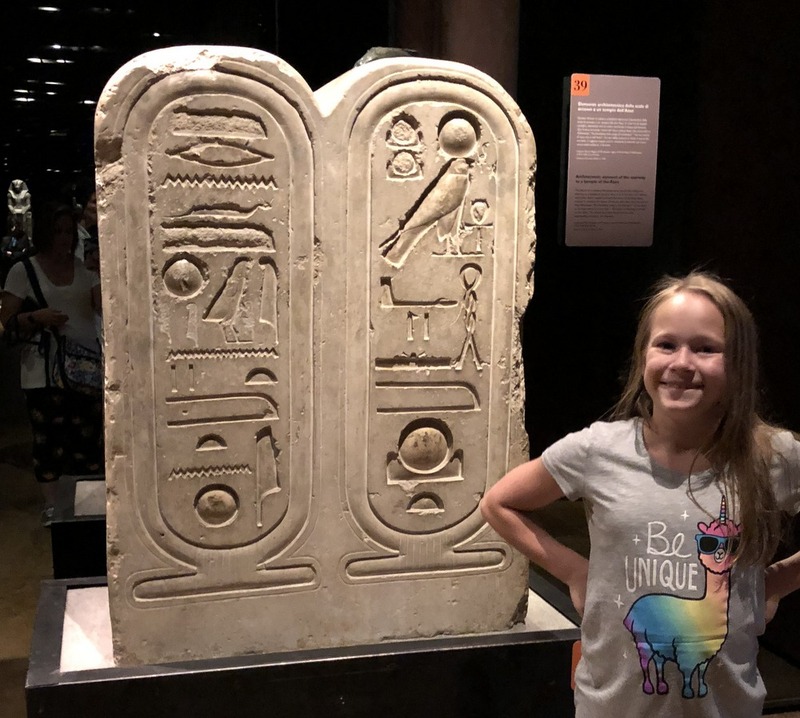 It’s also the home of the largest collection of Egyptian artifacts outside of Egypt, and Evie is a bit obsessed with ancient Egypt, its mythology, and its artifacts. So we planned to have lunch in Turin, visit the Egyptian museum in the afternoon, and then explore the city a bit before heading back. This was, in some ways, a dry run for the rest of our trip. 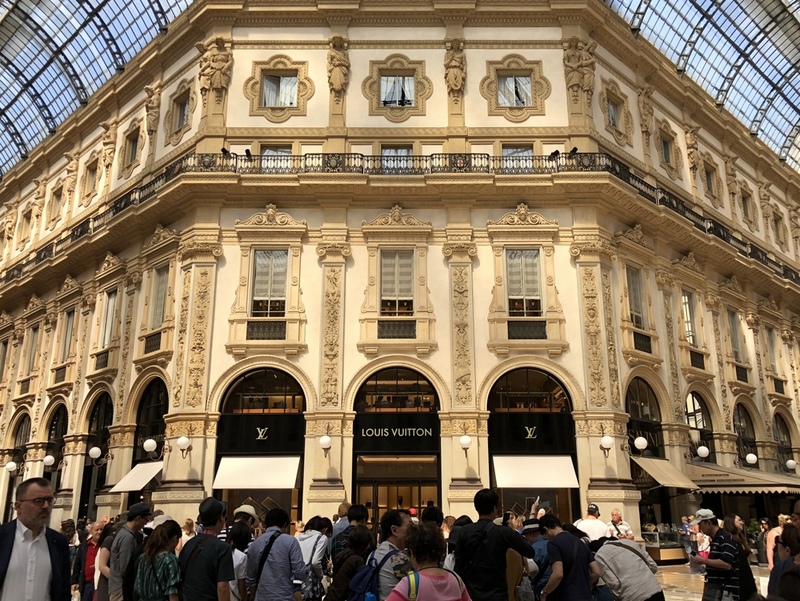 Cousin Sara accompanied us to Milano Centrale, the giant rail station in the heart of Milan, and then departed — we would not see her again for the remainder of our trip (our busy schedule and hers never overlapped). 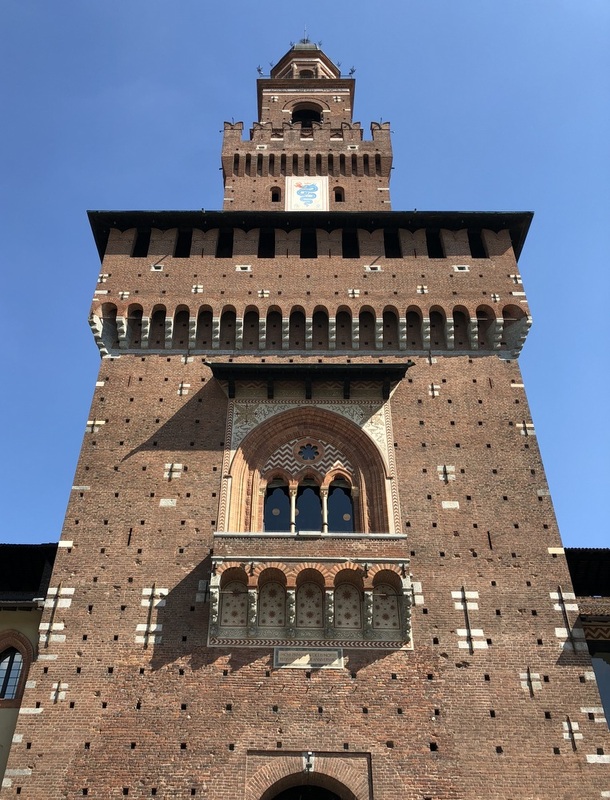 Turin was a great way to introduce ourselves to Italy on our own — smaller in scale, with only one clear destination and plenty of time to enjoy in whatever way we saw fit. It also gave us a huge confidence boost in navigating the rail system. The museum was a clear shot from the train station in Turin, but we took a meandering path, stopping and admiring various side streets and reveling in our newfound sense of freedom. We had an outdoor lunch at a pizza place near the museum (a common theme on our trip — outdoors dining in the beautiful weather). We then walked to the museum and toured it thoroughly. Evie took on the role of expert, teaching us what she knew from her own exploration of the topic. 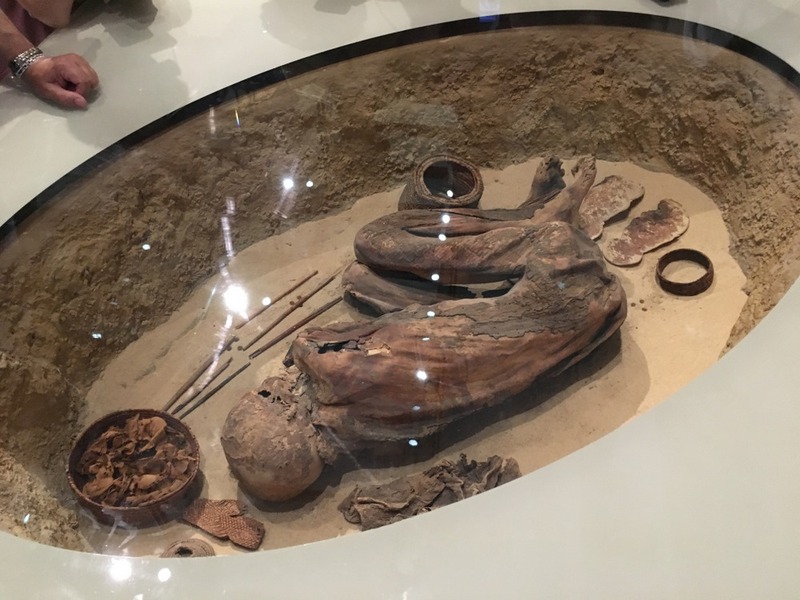 I felt personally impacted by the number of preserved ancient bodies — mummies, skeletons — physical remnants of lives long forgotten. It was a somber reminder of both our own mortality and the possible permanence of the physical, bodies which had long outlasted the religions and governments under which they lived. After we finished at the museum, we walked around Turin. 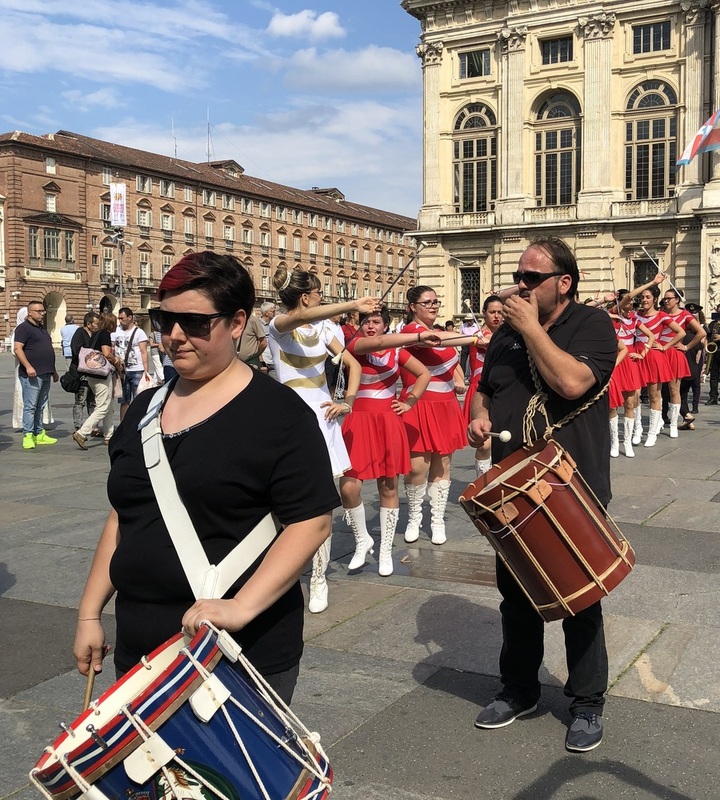 We stumbled onto a celebration day (La Festa di San Giovanni) with parades and music. 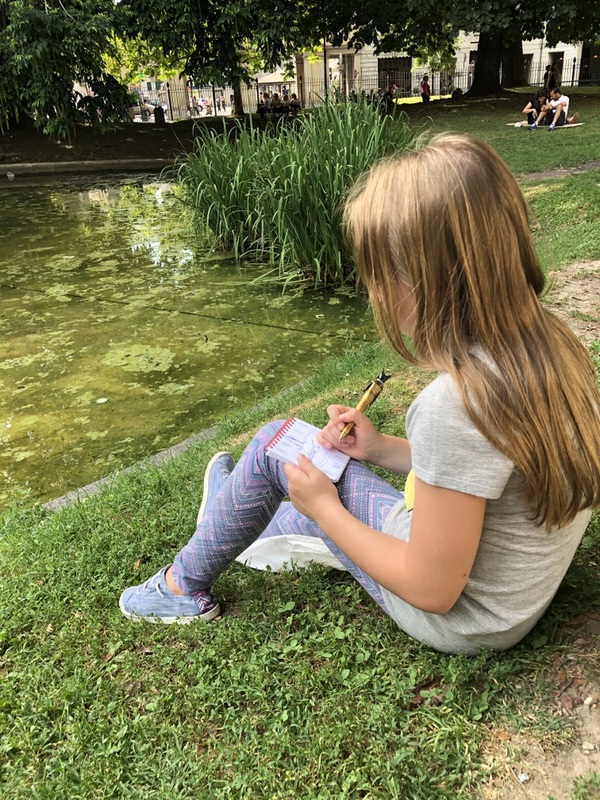 We then sat in the public park while Evie sketched a pond and fountain on a souvenir notepad. It was a relaxed way to spend the afternoon before getting back on the train to Milan. 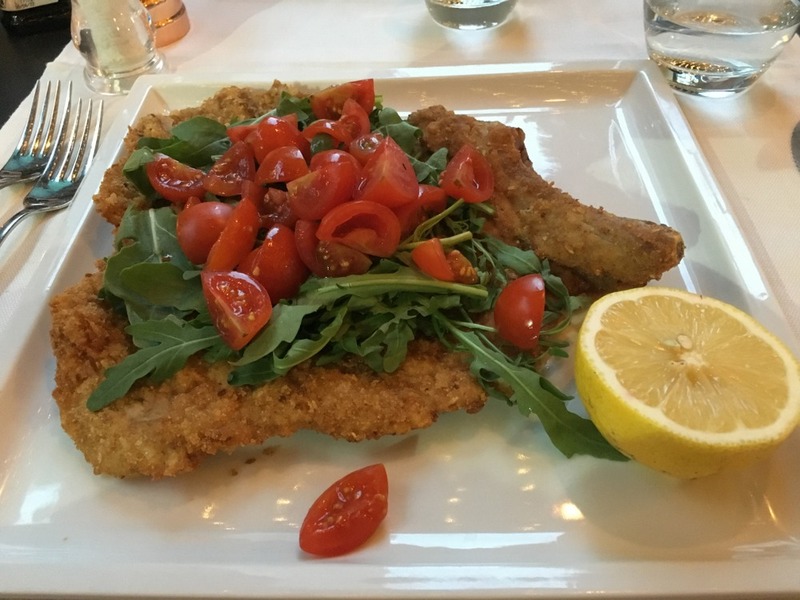 In Milan, we managed the rail system to get back to Sara’s neighborhood, had dinner at a wonderful restaurant (Veal Milanese for me — a real treat) much later than we’d usually eat back home (dinner is served late in Italy! Going out at 9 PM is not unusual, but going out before 7 PM is) and then packed our bags for the next leg of our trip. We were headed out for six days, and crammed all we could into two small bags and a couple backpacks. It was time for our trip to really begin.